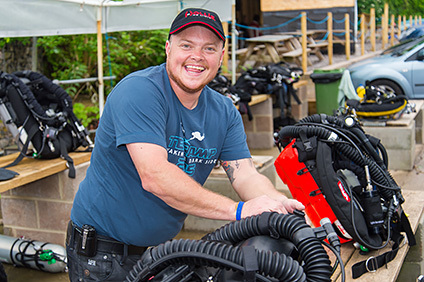 Every year divers from across the UK and beyond embrace the opportunity to transform their diving under the watchful guidance of some of the world's top technical diving instructors. Each and every diver that attends TEKCamp gets something positive out of the event - whether it's finally achieving a smooth valve shutdown, learning new skills or simply reaching that magical moment when it all simply 'clicks' together, attending TEKCamp is an event like no other. Whilst every diver gets something out of TEKCamp, there's always one individual who stands out from the crowd. Whether they've gone the extra mile or triumphed over adversity, we celebrate their achievement with a very special award. 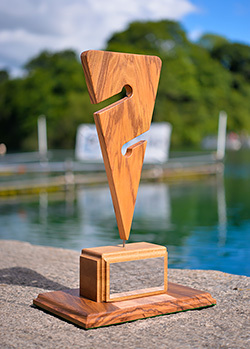 The Dave McLoughlin Award for the TEKCAMP Most Improved Diver is dedicated to the memory of someone who was the epitome of diving improvement through determination, focus and practice. Award sponsor Bryan Stanislas of H2O Films first met Dave in 2013 joining him as a fellow course candidate on a Sentinal CCR Mod 1 course at Vobster Quay. Dave had an intuitive nature about him and wanted to ensure that he obtained the very most out of each day of the course and he had a spares kit that most coveted! 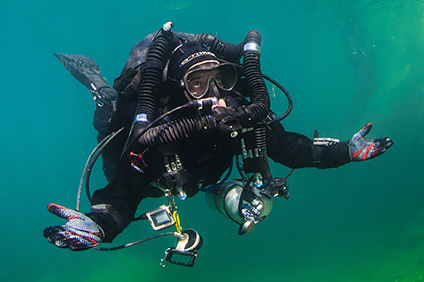 He repeatedly rebuilt and dismantled his rebreather until it was second nature to him. In the water his trim improved massively by the hour from the initial session and this was something to behold. Although not a diving instructor at this stage it was evident that he had the makings of a sound diving educator. 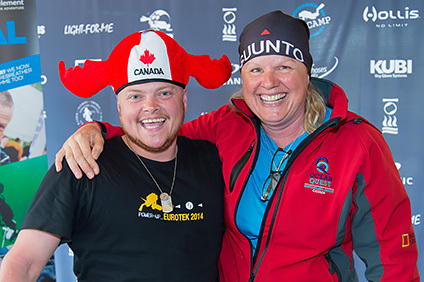 Dave then went on to become and IANTD Instructor in the following few years and was an integral part of the support diving team as a safety diver at TEKCamp 2014 where his duties included working with Bryan as a Media Safety Diver for the week. His ethos was very clearly a case of absorb relevant information and master new skills and he also ensured that at the end of each dive he would finish with a practice skill which was generally one he had not quite mastered. Dave was unfortunately taken from us in late 2015 after a short battle with cancer. "The prize for most improved diver was awarded in 2016 to a closed circuit rebreather diver I met at the start of the week and again at the end. The difference was just incredible - at the beginning of the week this diver had wobbly buoyancy with one stage but - by the end - he delivered a perfectly stable cylinder rotation for a 100 metre dive. Adding more cylinders, challenges and switches to and from the loop did not disturb buoyancy or trim. This was especially impressive as all this task loading was done at 4.5 metres with only a visual reference to aid positioning in the water column. This kind of improvement and response to the TEKCamp atmosphere is exactly what the most improved diver award is about. 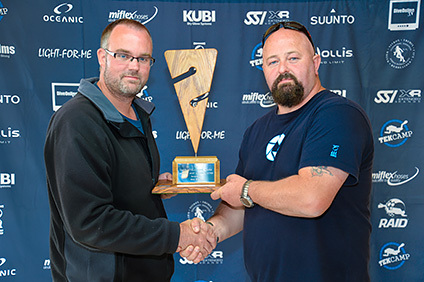 In 2016, the Dave McGloughlin award for Most Improved Diver at TEKCamp is thoroughly deserved by Colin Jackson." 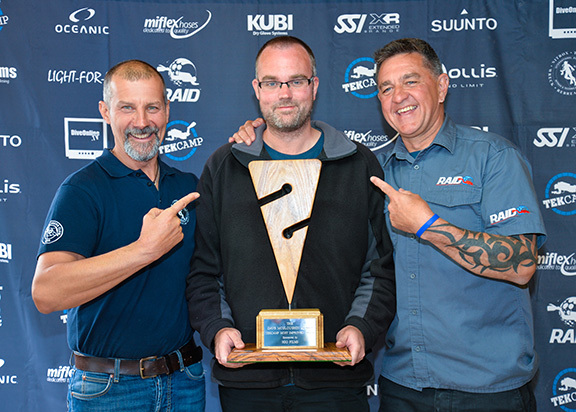 "I had no difficulty choosing the diver of most deserved to win the Dave McGloughlin award for Most Improved Diver at TEKCamp 2015. 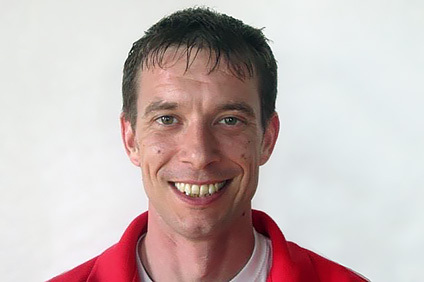 To me, TEKCamp attendee Ted Sewter embodied 'the joy of learning' - even on a chilly or rainy day, he was ready to go with a huge ear to ear smile. Clearly, he has taken the time to meet everyone on site! Ted attacks new challenges and says, 'bring it on' rather than worrying about what the learning process might look like. He embraces every opportunity to master new skills and has fun in the process. He was a shining light at TEKCamp. We can all learn from that".